Believe it or not, that was our mission statement when we started INPHANTRY eight years ago. Of course we didn’t know it was a mission statement at the time. It just seemed like as good a reason as any to strike out on our own. You see, we’d cut our teeth at the big agencies and knew that bigger isn’t always better. So a small crew of like-minded folks dedicated to creating the best experiences just felt right. Oh, and speaking of experiences, we didn’t specifically set out to be an experience agency either. It just sort of happened. Whether it was the desire to do “rad work” or maybe just how we we’re wired, we always focused on the end user of whatever it was we were making. It was never about the technology or the creative. Experience first, then figure out how we could craft something that would bring it to life. Nowadays, it’s all about experience. We use words like empathy, storytelling and human-centered design, but for us nothing has really changed. It’s always just been about being thoughtful. So as we evolve as an agency we’ve tried to apply that mantra not just to the work, but to our culture. Being thoughtful and doing rad work with friends. Easier said than done. Over the last couple of years it’s become apparent that doing rad work or rather — good work — tends to lead to more work. 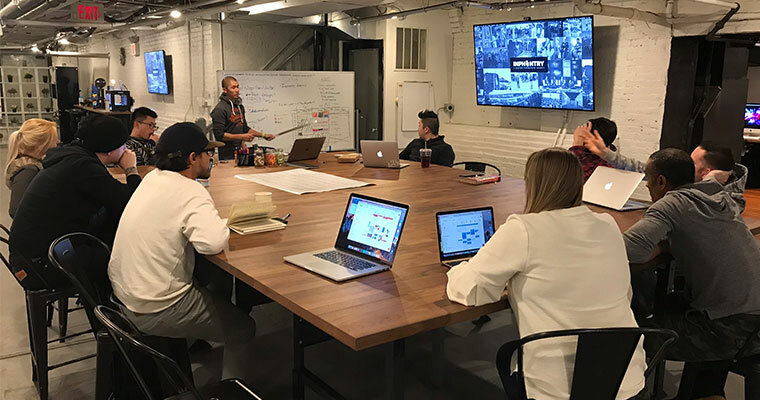 And more work can either lead to more people or some really long nights… So last year, we decided that we needed to grow. And while we like to think of ourselves as a pretty social bunch, at some point you exhaust your list of friends to work with. And we’re not a fan of long nights when we can help it. Being thoughtful – In how you approach the work. In how you deal with others. In how you see the world. Grit – Make no mistake. We’re small. We pull out all the stops to get things done, and done well. The old saying about the fight in the dog holds true for us and we look for that fight in whoever we’re considering bringing onboard. No matter how much we grow or how successful we may be, we’re firm believers that complacency kills. Ego (or lack thereof) – Spelling aside (maybe we’ll explain that one someday) we’re named INPHANTRY for a reason. We’re one team, boots on the ground. So while we run lean, we also run flat. No time for hierarchy. So with that in mind, we grew. We’re a team of 14 now. And though that number may not sound like a lot, for INPHANTRY it’s more than double what we were just 6 months ago. 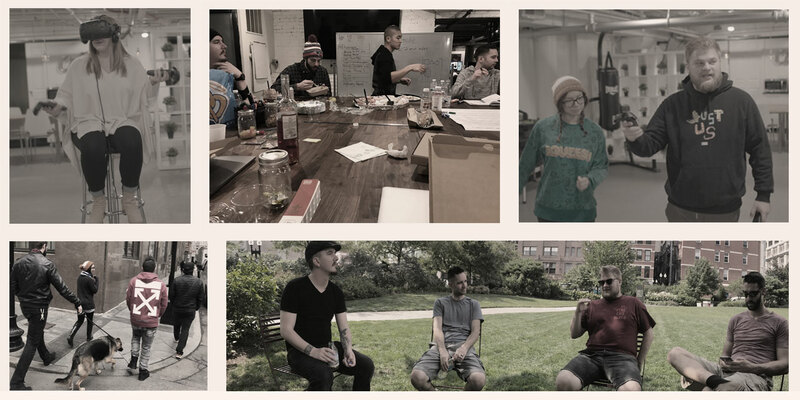 The experience of growing the team has been — to put it mildly– nerve-wracking. All it takes is one person to change the culture of the company. One bad cog, and the whole machine grinds to a halt. But change is inevitable and we’d be naive to think that we’re immune to it. We’re stoked to see where 2018 is going to take us. We’ve got new people, new clients, new processes, and new projects that we can’t wait to show you. But no matter how the INPHANTRY user experience evolves, we’re always going to approach the work with the same dedication to thoughtful craft. And we’ll always stay true to our mission because there’s so much more to it than we realized when we first started out. It’s about a team of people who are here because they want to be. We have each other’s backs and we take care of our own. Not a bad mission to shoot for when you think about it. Do rad work with friends.